In that set I tried, there were body butters, shower gel, face wash and shampoo. OMGEEEEE! I’ve seen bliss in Sephora for the last couple of years but never really thought about purchasing anything from there. So anyways! Now that I know what bliss is about and how smitten I am by it, I really am looking forward to the Ultimate Holiday collection! This collection will be out at all Sephora stores from November onwards! Now on to a closer look at these gift sets! These mini sets will be great as stocking stuffers. As for full sized sets, there will be 2 for the holidays. 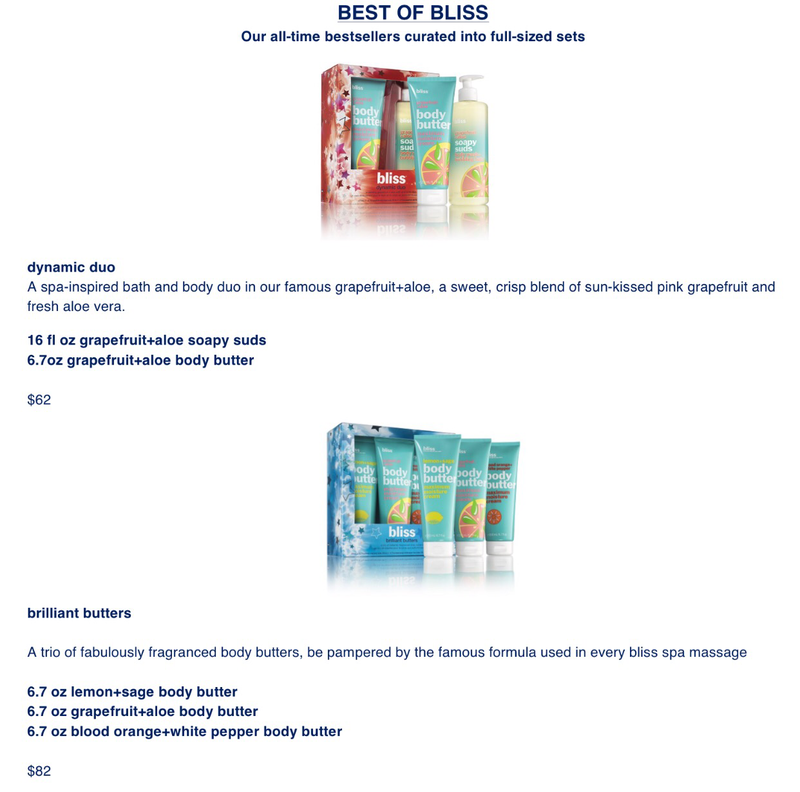 I have very bad enzcema on my knees and the only cream that seems to sooth the itch and moisturize my skin are the bliss body butters. I have a tube with me even when I travel. 💋❤️ #holygrail! Besides the lemon + sage series and body butters, my favorite minty face wash / bead scrub is by bliss and now! They’ve got it in a set! That’s incredi-peel is really intriguing ! No matter the brand, I will always have a glycolic peel in my medicine cupboard. Keep a lookout for this space as there will be more holiday collections featured here!